Preserving the environment is one of the basic objectives of MCM S.p.A. we consider it an act of responsibility and maturity towards the community. For years we’ve been making all our skills and knowledge and our technological progress available and we operate both for the environmental preservation and for the safety of our employees and partners. Proof of this can be shown in the numerous changes we’ve applied to our manufacturing processes and system: the constant and continuous effort to reduce possible harmful effects for the environment and for our employees. We’ve been pursuing a careful evaluation of all those situations that could cause environmental impacts such as gas emissions in the atmosphere, waste, noise pollution, not to mention a full activity based on the control of the natural and energy resources use. As well, we’ve been working with our employees on these environmental issues to generate awareness, specifically about simple and daily behavior that can be adopted in order to contain energy and water consumption. We also believe that the environment preservation is a big challenge that involves both the culture and the behavior of our whole society. Being part of an economical system means defining steps and objectives. Freedom of choosing these steps and objectives involves, according to our manhood culture, even prior to our business-man culture, a “social responsibility”. Social responsibility for us is a commitment that need to subsist in order to make every result a satisfaction for our company; it’s a commitment that brings us, autonomously, to take actions that go beyond the respect for the Law or the pursuit of profit, as to say the dedication for the protection of the workers, the environment conservation and the preservation of the ethical and economical principles. The noun “technology” comes from the Greek word "TEKHNOLOGHIA" (τεχνολογiα), literally meaning “speech about art”, art as the concept of “knowing how to do/create something”. MCM S.p.A. employs its “know-how” in sales and manufacturing activities, managing methods, pre and post sales assistance and service using the most recent and up-coming technologies and the best available quality products on the market. MCM S.p.A. has been consolidating knowledge and division know-how since it was founded in 1979. In 2000, after a few company joint-ventures operations, it gave itself a new mission, based no longer on the production by economic allotments of few specific products, but on pursuing the common objective of “full quality” in each division it operates. 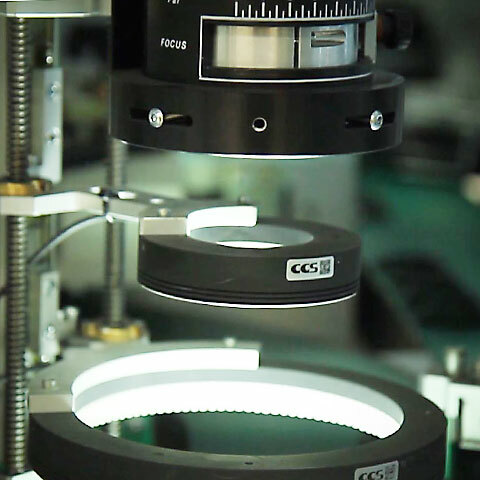 From this point of view the technology used changed, as well as its manufacturing strategy, customer service assistance and management method obtaining the most prestigious international certifications, always counting on the precious and irreplaceable help of the increasing and sophisticated requests of its customers and on its trust-worthy suppliers. our company has had the honor and the burden of being invested of the role of official supplier of the most important activities in the automotive, aeronautical and petro-chemical industry, being able to keep it along the years, suggesting and obtaining specific and exclusive certifications. Alongside this leader mission, the company has succeeded in the large scale manufacturing as well, thanks to the many process innovations along the way. This progress can be counted in terms of numbers and increasing trends. A company, originally founded as an artisan facility, has been able to blend the distinctive peculiarities of small manufacturing businesses, with the highest production capacity, always keeping the highest quality level. 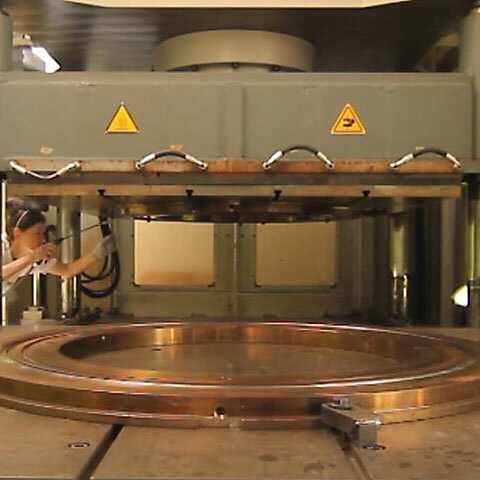 Actual research activities and major investments in technology allowed the company to offer a wide range of manufactured parts with a certain regard to special compound batches for specific applications. Oil drilling is one of the most complex fields due to the peculiar environmental conditions to be faced by the seal. 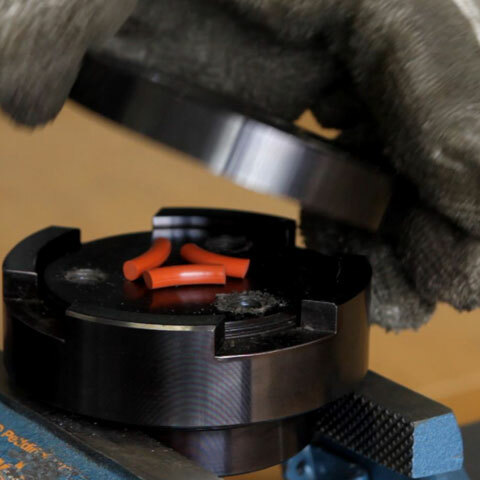 The development of FFKM has now raised rubber to a hitherto unknown peak in the sealing applications segment! 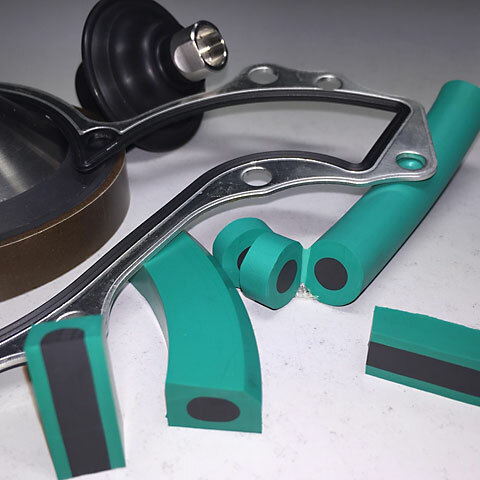 evolast® combines the excellent chemical and thermal properties of PTFE thermoplastics with the elasticity and superior compressive strain resistance of elastomers.